When comparing prices on metal detector rentals in Santa Cruz, San Jose and Morgan Hill, ask about sales tax and environmental fees. 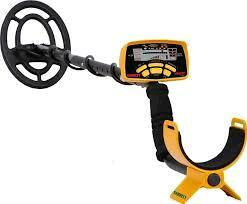 Treasure hunting has been taken to a new level with Garrett's ACE 250 metal detector. This detector will never stop impressing you - or finding treasure with its custom notch discrimination, pinpointing, adjustable sensitivity and depth setting as well as the 6.5" ACE Performance search coil. * Please call us for any questions on our metal detector small rentals in San Jose, Campbell, Salinas, Santa Cruz, Watsonville, Morgan Hill, Hollister, Santa Clara, Gilroy, Milpitas Sunnyvale, Fremont, Salinas, the Greater Bay Area and the Monterey Peninsula.